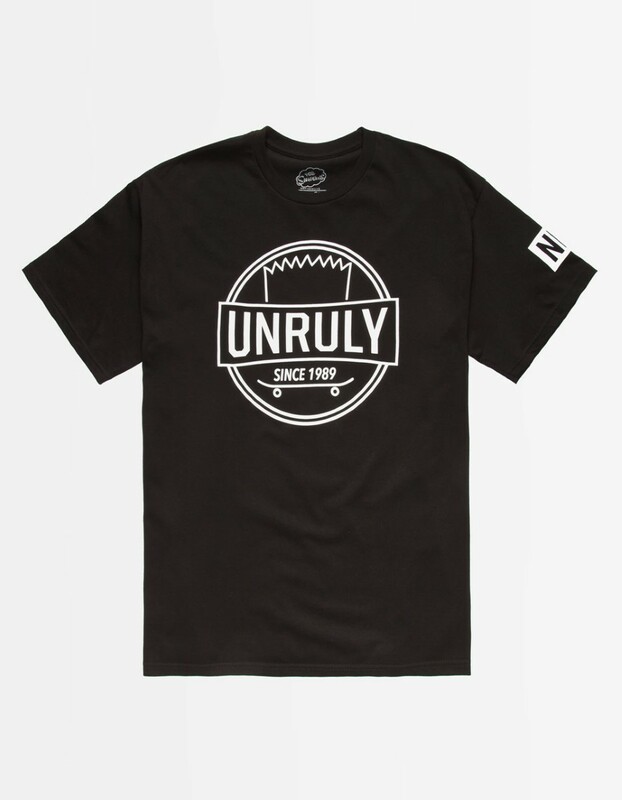 Neff x The Simpsons Unruly tee. Bart Simpson hair graphic with "UNRULY" text screened on front. Neff logo screened on left sleeve. Short sleeve. Crew neck. 100% cotton. Machine wash. Imported.